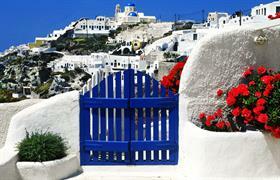 In the last few years, properties in Greece are in high demand among buyers and investors from abroad. And the reasons for this high demand are not only a wonderful mild climate, picturesque natural landscapes, unspoiled beaches and a huge number of architectural and historical monuments, but also affordable housing prices in Greece. As is well known, the global financial crisis and domestic crisis did their job, but that is what has allowed an increasing number of foreign buyers to enter the housing market in Greece. Among the Greek buyers of real estate are those who constantly choose to spend their vacation at one of the local resorts. After all, an own house by the sea in Greece on affordable price gives several advantages to owners. Firstly, year after year, they will save money on visas and hotels. Secondly, private property allows you to relax whenever you want, not depending on the season or tour operators. In the third place, a house in Greece can bring you an extra income. Purchase of real estate in Greece is beneficial not only to those who year after year choose to spend their vacation at the sea. Now the real estate in the capital is of great demand, as even in the most prestigious neighborhoods of Athens, luxury housing can be purchased at a very low price. Those who buy a house costing over two hundred and fifty thousand Euros even received a gold visa! Number of people willing to become owners of their own homes in Greece is growing, because the purchase procedure here is quite simple and fast. Moreover, buying a property from the owner or housing from the builder, the foreigner obtains rights that are equal to the rights of locals. This means that if you possess a property by the sea or in the capital, you may always rent it on a short-term or long-term lease, and if necessary, quickly and profitably to resell it, earning capital gains.